Going Vegan? 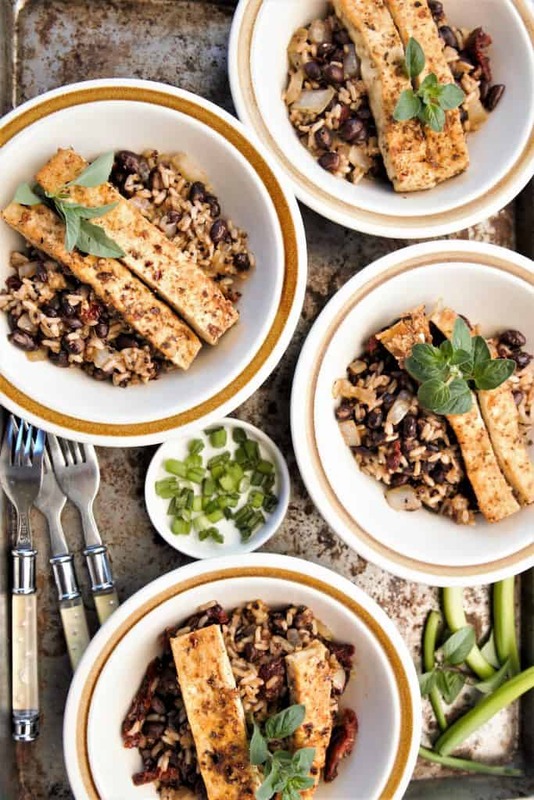 This guide to Vegan includes everything you need to know. Are you thinking about making a change to your eating habits? If you are on this site, you are clearly committed to eating right, and want to embrace a diet that will enhance good health and well being. Each individual has to decide what the best “diet” is for the long term, and by that I mean, formulate an individual, what works for you, eating plan. Because he word “diet” connotes restriction and deprivation, and is not a lifestyle that is sustainable, I don’t like to call eating healthy a “diet”. Yo-yo dieting is unhealthy and detrimental to long term health; we must have a eating plan that is compatible with our tastes, lifestyle and health goals. My manta on eating is “I want food to nourish and sustain me, not just entertain me”. This practice sometimes means that when I make food choices, I keep my goals in mind. When you are formulating a plan to nourish and sustain yourself, you have to set your own eating goals. 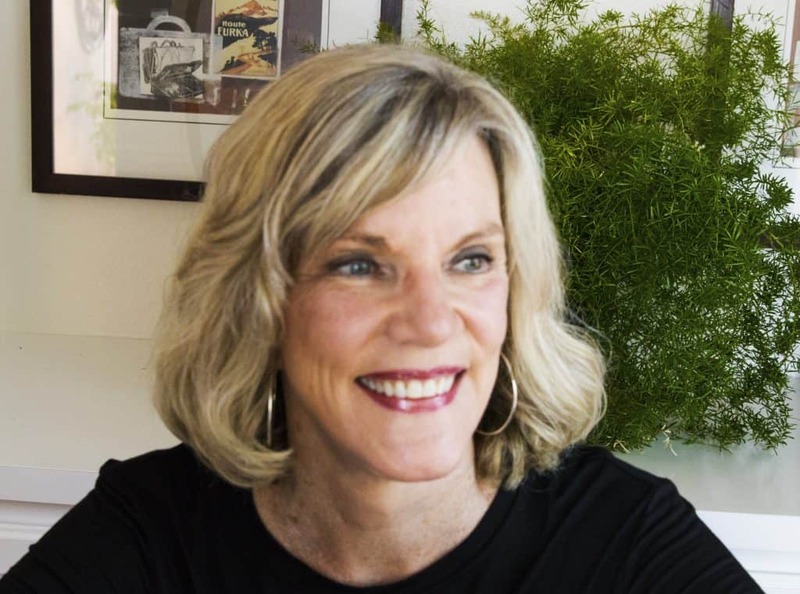 For me, the most important goal is, I don’t want to take prescription medication for life to treat conditions that can be addressed with healthy eating and exercise. At this point in my life, I have succeeded at that, while my peers take pills for cholesterol, high blood pressure, diabetes, pancreatitis etc. No. To. That. If. I Can. Help. It. 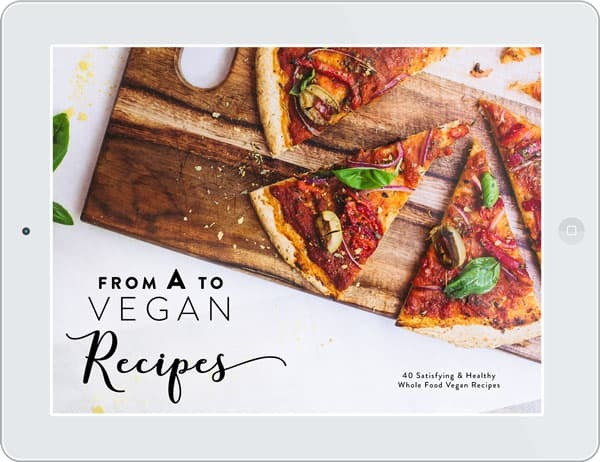 This website has featured many recipes that are vegan because I believe that each and every recipe is a healthy alternative. If I can choose between a bacon cheeseburger and fries, and a nutrition packed Buddha Bowl, it will always be the bowl for me. I like the food better, and I am committed to nourishing and sustaining my body. The thing about deciding what kind of eater you are is weird. It seems that society wants you to label yourself, limit yourself and become a rigid proponent of a certain diet or eating plan. Whether it is vegan, vegetarian, gluten free, dairy free, keto, whole30…well you get the point. The standard American meat and potatoes diet with dessert, doesn’t really have a name–it is just the unhealthy alternative. I think the one thing that unites all in search of the perfect eating plan, is a desire to eat healthier. In my plan, the majority of the meals that I eat are vegan and plant based, but I also eat vegetarian meals. I try to eat raw foods, and drink green juice, really anything green and colorful. I avoid alcohol, additives, preservatives, chemicals, antibiotics, hormones and, yes, I limit sugar and carbs that convert to sugar. The American Heart Association recommends that women consume no more 25 grams of sugar per day, and men 36 grams of sugar per day. If you are trying to transition to a healthy eating plan, and considering vegan, take a look at the latest New York Times article on the subject, Antibiotics in Meat Could Be Damaging Our Guts. Gut health is believed to be a significant factor in overall health and well being. (more on that later). My recommendation is that you start your journey one meal at a time. Try a vegan meal, a vegan snack, and go from there. I think you will be surprised how easy it is once you get familiar with the vegan diet. If you go from meat and potato, junk food eating to eating any vegan meals, that is a great accomplishment. Don’t let food stress you out. 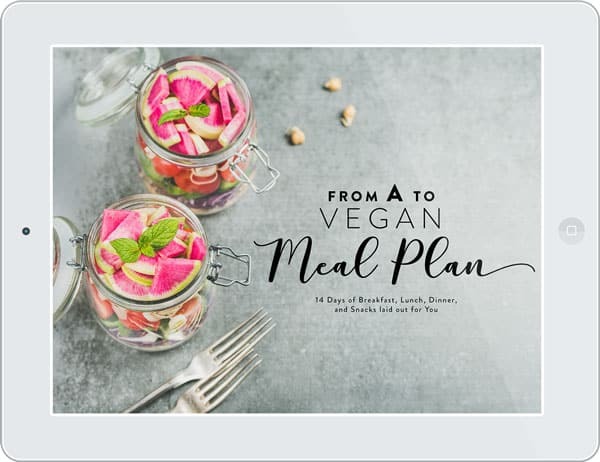 To help you on your journey, check out this From A to Vegan-Your Complete Vegan Starter Kit. This starter kit has everything you need to transition to a healthy vegan diet, and by that I mean, everything! 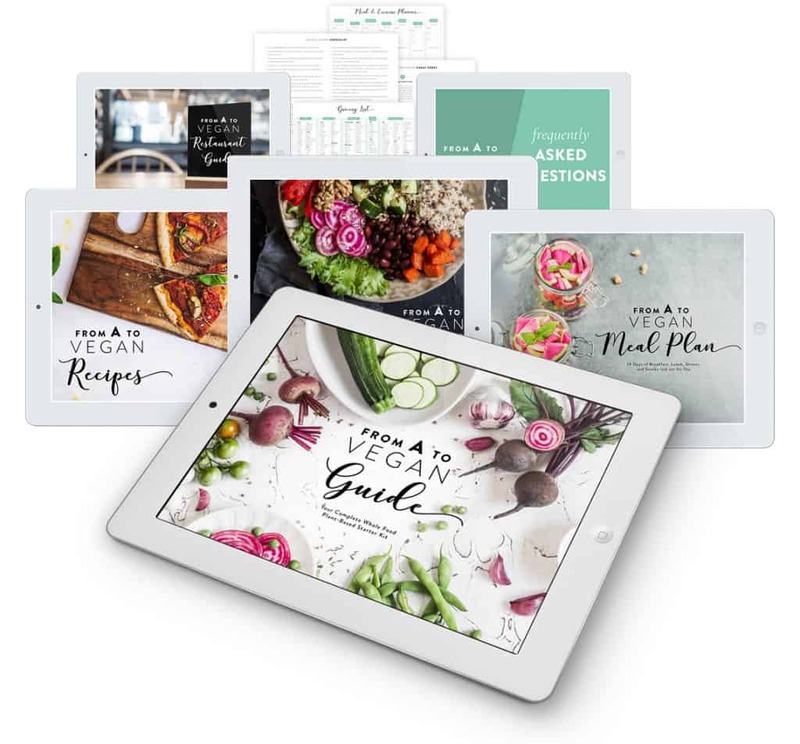 In this 200+ page guide, you will learn about nutrition, proper portion size, organizing your life for vegan eating, and how to set up your pantry. The key to any good eating plan is staying organized. How many times do we grab what is ready or easy when we are hungry? This program provides you will a 14 day meal plan which includes 3 meals, snacks and a shopping list. A change in eating plan requires a little support, so you also will receive these three bonuses to assure your success! 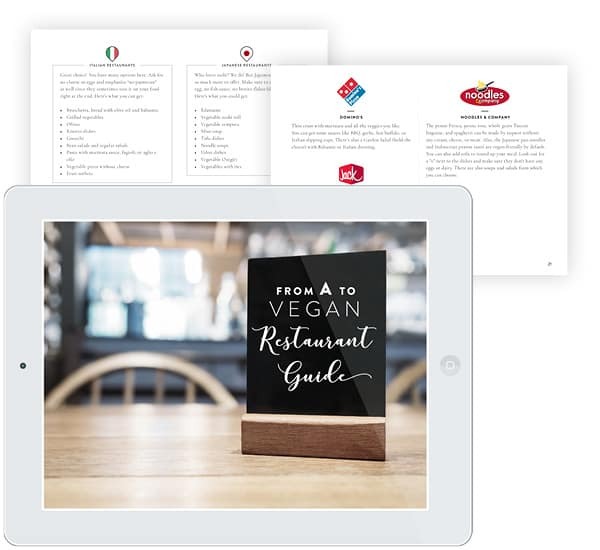 Eating out can be a challenge, but not with this guide. In the past decade, restaurants have become much more cooperative and open minded to different programs to serve all of their customers. 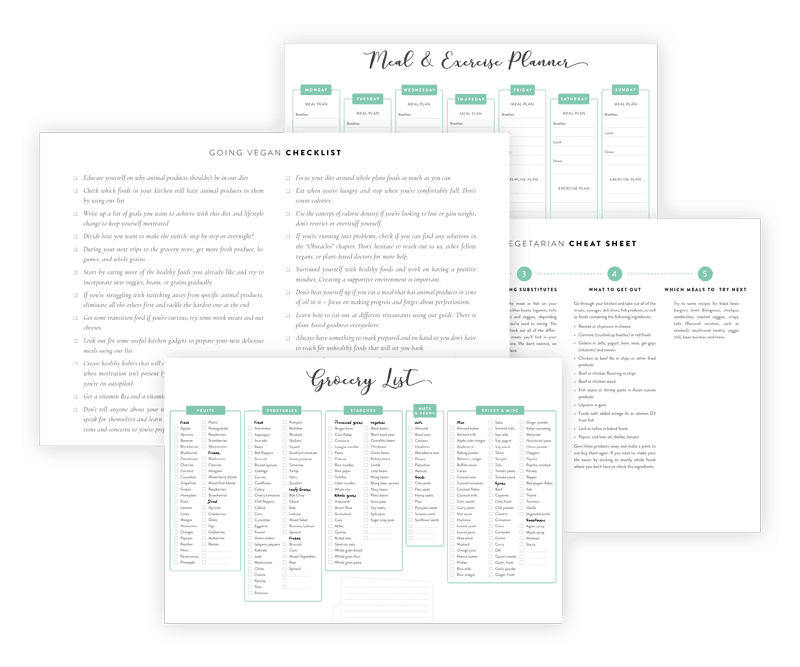 Yes, worksheets to stay organized. Bowls are life in my opinion, so building a bowl is almost like an artistic creation. The possibilities are endless with a basic guide. You will definitely create some bowls that will be your go to favorites. 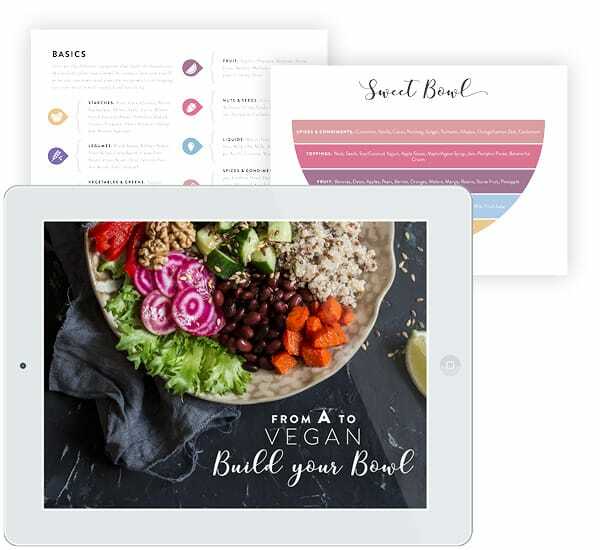 This A to Vegan Starter kit has everything you need to transition to a healthy vegan diet. Check out everything you will receive here and get started on your new and better lifestyle. You have nothing to lose and everything to gain.